The Zapier integration is available for the Essentials plan and higher. You can integrate CallRail with your existing Podio account to create specific tasks according to incoming calls and text messages. While CallRail does not have a native integration with Podio, there are two different ways you're able to integrate with Podio. Add Podio items for new CallRail calls. Add completed calls as items in Podio. Create tasks in Podio based on phone calls or users in your CallRail account. Learn more about Zapier and their services by visiting their website. More information on CallRail's Zapier integration can be found in our Zapier support article. Podio's "Email to App" feature allows you to create email notifications that can be pushed directly into Podio. This is the backup method we recommend if you're unable to build your preferred integration using Zapier. With this method, you can create email addresses within your Podio account that can be added as notification users to your CallRail account. Then, you can set these email addresses to receive call notifications for specific tracking numbers. 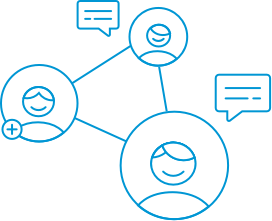 Users are company-specific in CallRail. Use these instructions to create email notifications and users for each company you'd like to integrate with Podio. Set up your email to app tool according to Podio's instructions. Add a new user to your account for each email address you've created for your tracking numbers. In this case, we recommend creating these email addresses as Notification users. Create email notifications for the new users (your Podio email addresses) so that Podio receives notifications for incoming calls.